I’m pretty flushed in this photo, not sure why. 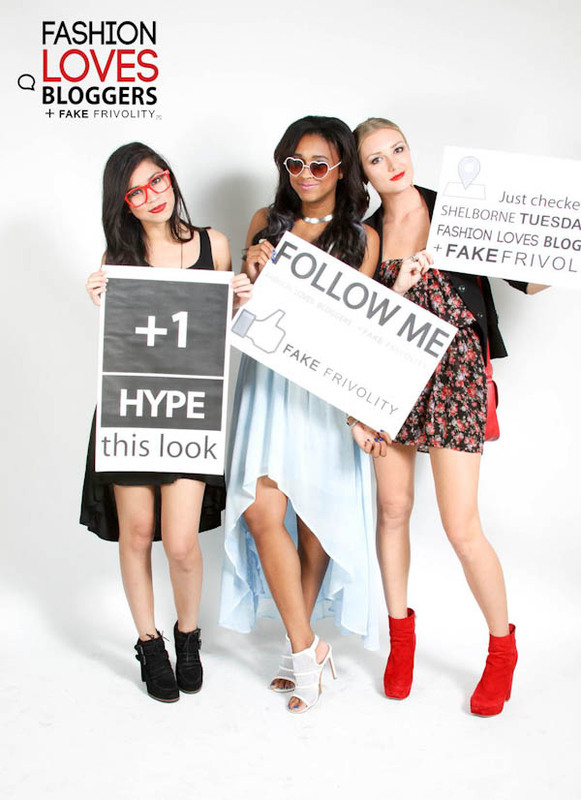 A month or two ago (yeah I’m that backed up) I hosted a blogger event with my friend Amanda of Capture Fashion. It was kind of put together last minute but it was still fun. I got to meet some local readers and take these cute photos in my amazing Stylestalker dress I bought from Black Label Boutique at a crazy good discount. Lily came after work! She’s also wearing Stylestalker from Black Label Boutique as well! As you can see Lily and I took advantage of the prop glasses they offered. We’re such dorks. I wanted to go home with the metal heart pair I wore. Tonight there will be another event called Fashion Bloggers Do It Better, so if you are in the South Florida area you should come check it out. P.S. – Before anyone asks, Amanda’s red shoes are the Dolce Vita Jemma Boot. 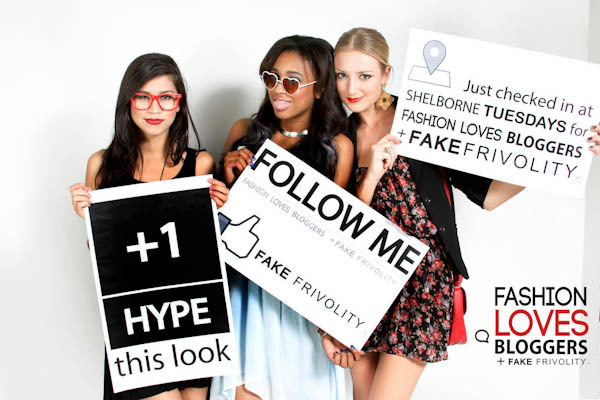 P.P.S – All photos via Fake Frivolity‘s Facebook page, check it out for more photos from the event. this looks like sooo much fun! I want signs like that! I love this shoot, and the panel just me laugh too much. they are from Miami aswell? Yes they are from Miami as well. oh wow, i love those photos so much! Your outfit rocks! love that color! Love the pix with all 3 of u! Sad we can’t rly see Lily’s outfit.